Drawn and Quarterly, 9781770463271, 168pp. The third and final act of Jason Lutes’s historical fiction about the Weimar Republic begins with Hitler arriving in Berlin. With the National Socialist party now controlling Parliament, the citizenry becomes even more divided. Lutes steps back from the larger political upheaval, using the intertwining lives of a small group of Germans to zero in on the rise of fascism and how swiftly it can replace democracy. The idle rich, the naïve bourgeoisie, and the struggling lower classes: all seek meaning in the warring political factions dividing their nation. He especially focuses on the Brauns—a working-class family torn apart by a political system that doesn’t care about them. Lovers couple and uncouple; families and friends share rituals and laughter; most of Berlin’s citizens go about their day with little sense of the larger threat to their existence. Meanwhile, the journalist Kurt Severing and the artist Marthe Muller watch in horror as their society begins a dizzying descent into extremism. 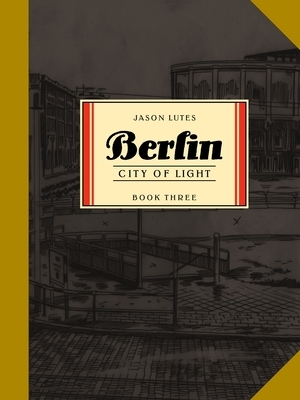 Lutes’ Berlin Book Three: City of Light is one of the most anticipated graphic novels of 2018, and the long-awaited conclusion to his beloved trilogy.